Choose the course you would like to study. Find out about your entry options and the requirements of each. 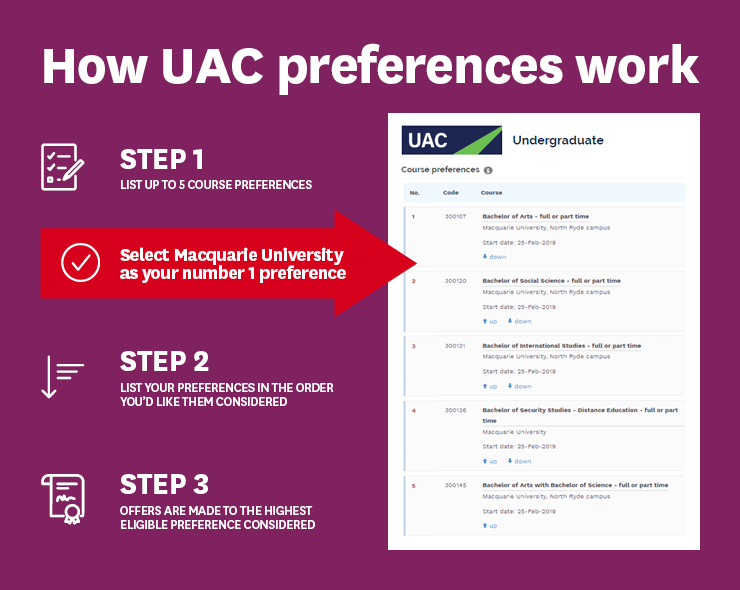 Read more about how UAC preferences work. If you receive an offer - congratulations and welcome to Macquarie! You'll need to accept your offer and complete enrolment online. RPL allows you to reduce the duration of your course by getting credit for your previous studies. After you receive your offer, submit an RPL request form. Also, check out our Credit Transfer Register to see if you're eligible for any direct credit matches. If you don't receive an offer, don't stress - we offer several pathway programs.